The Public Officials Benefit Association (POBA) has allocated 200 billion won ($175 million) for initial investments in Japan’s multifamily residential units, which it plans to bulk up with a capital injection from a global pension fund. It also selected three Europe-based private debt fund managers – Hayfin Capital Management, Idinvest Partners and LGT Capital Partners – to commit 40 million euros ($45 million) respectively. 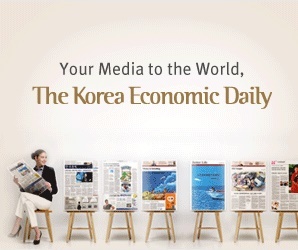 Over 20 European private fund houses competed for the mandate, according to a South Korean media report. A POBA source confirmed reports on the planned investment in Japan’s housing property and the selection of three European debt fund houses on April 9. POBA’s investment committee recently approved of a plan to launch a 200 billion won fund to invest in Japan’s multifamily housing sector, targeting an internal rate of return of 7-8%. For the fund, POBA will inject a capital of 100 billion won and borrow 100 billion won from Japanese lenders. JP Morgan Asset Management will manage the fund. It will focus on studios and apartments near subway stations in Tokyo and Osaka before expanding into other cities across Japan. POBA will attract a global pension fund into the fund to make co-investments. It has yet to find investment targets which it will partly fund with borrowings from Japanese lenders. As new investment targets, POBA is looking to infrastructure and logistics centers in Europe and Japan, and multifamily housings in Japan and the US, Dong-hun Jang, POBA’s CIO, told the Korean Investors in an interview. Alternative investments make up about half of the $11 billion retirement fund for South Korea’s local government employees.